Here's another specimen of this kind (1, 2) of collar. 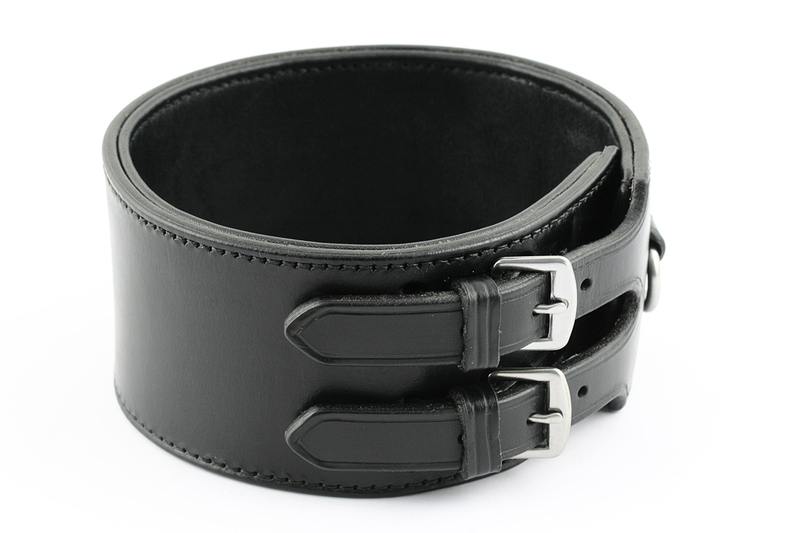 Dog collar made in black leather with thin black padding, 2" 3/4 wide, two 3/4" stainless steel buckles, size Large. For sure, the biggest and heaviest collar I've ever made!